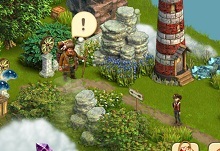 Klondike Adventures is a brand new adventure game for mobile devices from the creators of Zombie Castaways games. There are plenty of things to do in this game; farming, exploring, lots of landscapes to discover, selling items, managing animals, and much more. 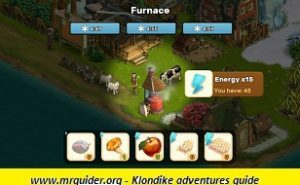 In this post, we have covered everything about the Klondike Adventures game; Klondike Adventures cheats, tips, and strategy guide. 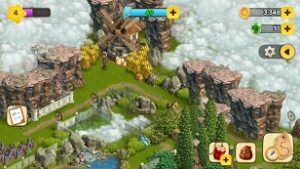 As usual, the game starts with a tutorial in which you learn about the basic functionality of the game such as how to complete orders, about farming, feeding animals, quests, market, and much more, After the tutorial, the player has to manually take care of all the things. As you know, to complete the quests, you need energy and you have limited energy points, then I would recommend you to focus on orders. Head to the order board and check out the items you have to deliver. Start planting seeds, feeding animals, and prepare the order. Once prepared, deliver it. New locations get unlocked when you complete all the remaining quests. Just tap on the exam board icon at the left side of the screen, tap on a character and then tap on the task. After you complete the set of tasks, claim the reward. On any place; home or other locations, look for the boxes. Usually, these boxes are hidden; behind the rocks, bushes, and some boxes are very small. These boxes contain precious items; energy points, resources to generate energy. Just tap on the box and claim free rewards. Build the sweet shop(level 7 required). Play the mini-game and you could earn free energy points. You can obtain a huge amount of precious resources by cutting out the grass and bushes. 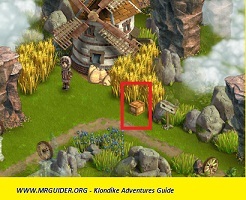 Uncover new areas to obtain the hidden treasure; boxes. You can trade with the trader, complete all the trades to get bonus rewards; EXP, Energy points. Where is the trader? Tap on the speech bubble icon. 4.) 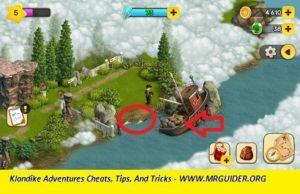 Focus On Quests – But Like A pro! One of the best ways to progress fast is by completing all the quest tasks. There are lots of quests out there, but you have limited energy points; so you need to keep the balance. How to keep balance? Don’t ignore farming; if you have no energy points left, then prepare the order and earn EXP stars. Leveling up refills the energy bar. And don’t forget to manage animals; they will disappear after eating a certain amount of food. Disappear? – they will turn into the golden statue, you can sell the statue for precious rewards(trade). Don’t forget to buy new animals.